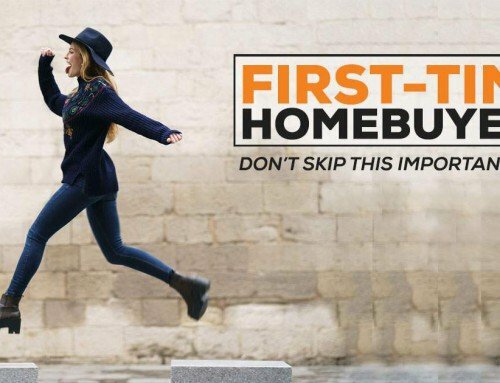 There’s no doubt about it: a home isn’t the easiest thing to come into. Do you sell it and cash in right away? Do you move in? Do you wait around for the market to improve and its value to rise? There are lots of options when you’ve inherited a home — and it’s certainly more to contemplate than a few ones and zeros added to your bank account. Not sure what to do with the property you’ve been gifted? This guide can help. Step 1: Keep the house in good working order. No matter what the home’s fate is, one thing is for certain — you need to keep it in top condition. That means keeping the yard trimmed, the air filters changed, and the gutters cleaned out before winter. Finally, make sure the home is current on mortgage payments, property taxes, and HOA dues while you sort out the rest of the details. Step 2: Clear it out. Whether you’re going to move the family in or sell the house outright, you’ll need to do some spring cleaning first. Get your loved ones together, and have them all pick items they want to remember the deceased by. (Use a round-robin approach, starting with children and grandchildren first, if you anticipate in-fighting.) If there are unwanted items left over or bulky items like furniture, décor, etc., then consider hosting a garage sale. You can donate any remaining, unsold items to Goodwill, The Salvation Army, or a local shelter. Once the home is cleared out, you can work on cleaning and prepping it for move-in or sale. Step 3: Determine its fate. You basically have three primary financial options once you’ve inherited a home. You can 1) sell the home and pocket the profits, 2) move into the home yourself or 3) rent the property out and take home a monthly income. The right choice really depends on your financial situation, the local housing market, and your unique household needs and goals. Let’s look at all three choices, as well as their pros and cons. If you already own a home or wouldn’t consider moving to the area where your inherited house is located, then selling it might be the best financial decision. Have an agent come out and evaluate the home, as well as estimate what it may sell for on the current market. Make sure to ask if they think any renovations, upgrades, or repairs will be necessary in order to make the home marketable. If so, call in a handyman to quote how much those will cost before moving forward. If you’re currently renting, are expecting a life change, or can’t afford to buy a home yourself, moving in might be a good choice for your family. Before deciding to go this route, make sure you have a home inspection performed, so you’re aware of any deficiencies or repairs that might be needed before move-in. A few caveats if a move-in does seem beneficial: 1) your property taxes may be higher than what your loved one was paying (the home will be reassessed) and 2) you might need to jump through some legal hoops if the home was co-inherited with siblings or other family members. Again, you’ll want to have a home inspection to confirm the home is safe and doesn’t need repairs before considering it for rental income. If there are no serious issues — or you’re prepared to cover those repairs — then reach out to a local leasing agent or do some research on local rentals in the area. What can you expect to make on the property? Is that enough to pay for its monthly mortgage costs, property taxes, HOA dues, and other expenses? Are you prepared to be a landlord and manage the money, properties, and hassles that come with it? You can also consider hiring a property management company for a fee. Once you’ve decided on a route, map out your plan. When will you pull the trigger? What do you need to do to prep the home? Call in experts like real estate agents, property managers, home inspectors, landscapers, contractors and other highly rated pros to help along the way. If keeping the property is on your radar, then consider a cash-out refinance. This can help you access quick cash to renovate or repair the property before your or a tenant’s move-in. Contact an Embrace loan officer today to learn more.